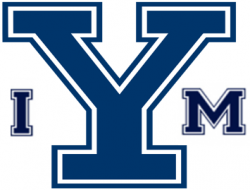 The Graduate and Professional Intramural Program provides an opportunity for Yale affiliated personnel to socialize, compete and exercise in a safe, friendly environment. This program offers a platform for people to find recreational release through a variety of sports and competitive levels. The Grad-Pro Intramural program includes opportunities to join teams in volleyball, soccer, softball, basketball and ultimate Frisbee. Traditionally, teams are created by department, but interested participants looking for a team are encouraged to complete the free agency form. The season format usually consists of round-robin play followed by playoffs. All games are played on weekends during the academic year and on weekday evenings during the summer. The length of the schedules and quantity of games reflects the number of registered teams and the availability of facilities. Most sports consist of competitive, recreational and co-recreational leagues. For more information about the seasons, please go to the Intramural Programs page.